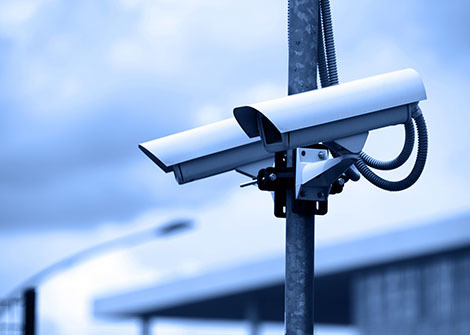 You installed a Hikvision solution a couple of years ago and in that time it has been an integral part of keeping your property secure. But like everything in our connected world, technology can stop working when we least expect it. Here are the top six reasons why you should opt to repair your Hikvision camera equipment in that situation instead of buying a brand-new system. Not all changes are positive changes. Your Hikvision security system could be “end-of-life”, a scenario where the hardware is no longer supported by the manufacturer and you can no longer buy the equipment nor have it repaired through official channels. Buying new might mean undertaking the challenging task in planning, buying and installing a new system that can take a considerable amount of time to implement. And once it’s installed, the exercise continues when training staff to use the new system. Why replace when everything else in the camera system is working? All security camera setups are unique and can run into the thousands if not tens of thousands of pounds. The disruption that we talked about previously can lead to your organisation having to shell out further cash for not just planning, buying and installing a new system but also training staff on how to use it. This is in addition to being unable to temporarily provide assured security for your customers. Repairing and extending the life of your Hikvision hardware leaves you with savings that can be spent on your other business needs. According to the United Nations report, just 20 percent of electronic waste is recycled, leaving highly toxic chemicals like lead, mercury and cadmium to seep into the food chain by seeping into water. Until the beginning of the year, when it closed its gates to foreign rubbish, 70% of electronic waste ended up in China. We believe the throwaway culture should be substituted for the 3 Rs – Reduce, Reuse and Recycle by embracing the circular economy. By repairing more hardware, your organisation will contribute to lessening the burden of e-waste for future generations. You can find more about our environmental campaign here. Repairs-to-the-board are repairs on the circuit board, where it might mean substituting and soldering connectors, replacing cables, capacitors, resistors and so forth. There can be considerable savings relative to replacing the entire main circuit board. Not all hardware repair service providers offer this level of expert repairmanship. This isn’t our first gig. We have over 25 years’ experience in repairing and refurbishing widely known brands in the IT and telecoms industry like Cisco, Juniper, Nortel, APC and Avaya, Our customer base includes of individuals, colleges and universities, councils, government, small and well-known companies based worldwide. As with all Comtek repairs, if we are unable to repair your Hikvision, DVR or indoor intercom display devices, you won’t be charged a penny. To find out more, please call us on 01244 280390 or email sales@comtek.co.uk. Or if you prefer, use our Request-a-Quote Contact Form.